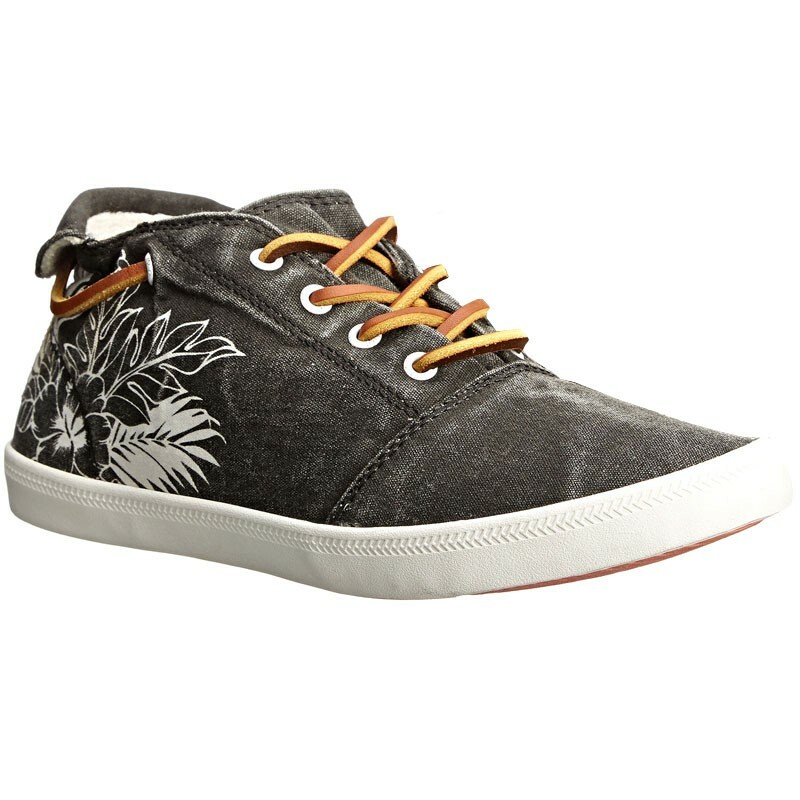 Throw on the Roxy Encinitas sneakers, and you know you're in for a good time. This women's hi-top, lace-up sneaker features a printed textile upper with leather laces to find a perfect fit. The back heel tab helps you get in and out of these shoes with ease. Inside, you'll find a cush memory foam padded insole so you'll feel like you are walking on a cloud with each step. The vulcanized outsole delivers durability as well as that classic sneaker look. Classic sneaker inspiration infuses the Roxy Encinitas with everyday style you'll want to wear over and over again. Like all things Quiksilver, Roxy was born in the water; initially a swimwear line, it debuted in late summer 1990 to immediate success. The fact that Roxy was a women's line offered by an authentic surf brand made it intriguing for both retailers and girls alike. Roxy is now a global lifestyle brand, offering products for every aspect of the active girl's life. From handbags to footwear, wetsuits to watches, the key ingredient of Roxy's products is that inimitable Roxy spirit. "Daring, confident, naturally beautiful, fun, alive: Roxy."